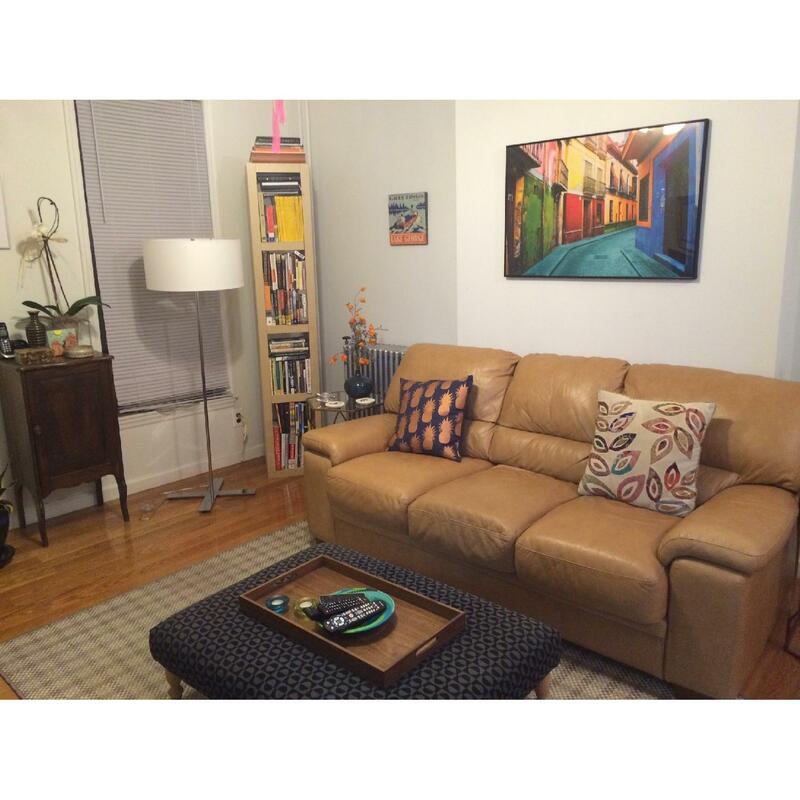 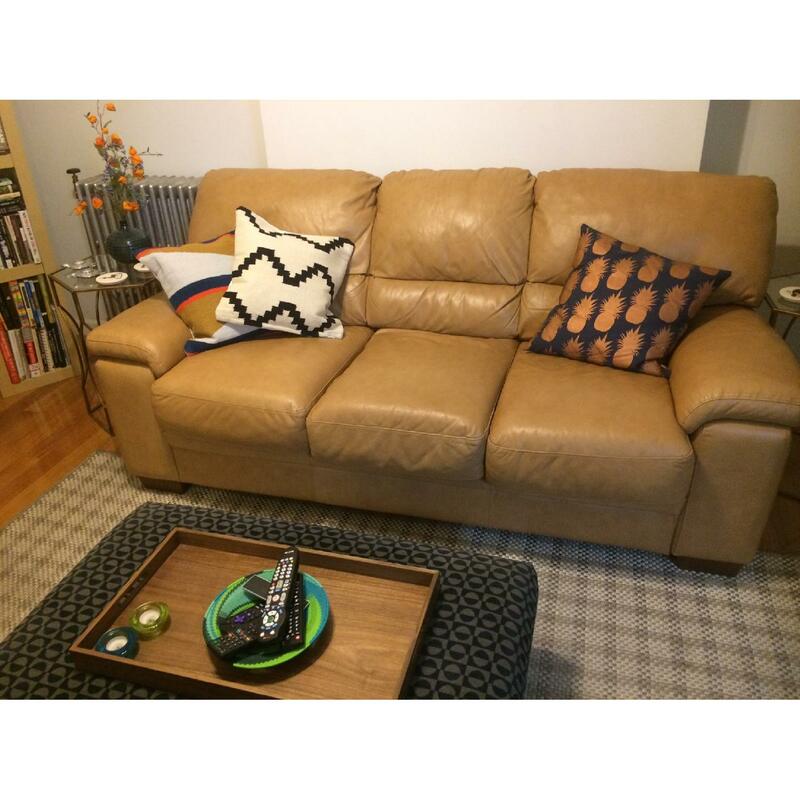 Used sleeper sofa originally purchased from Raymour & Flanigan for about $2000. 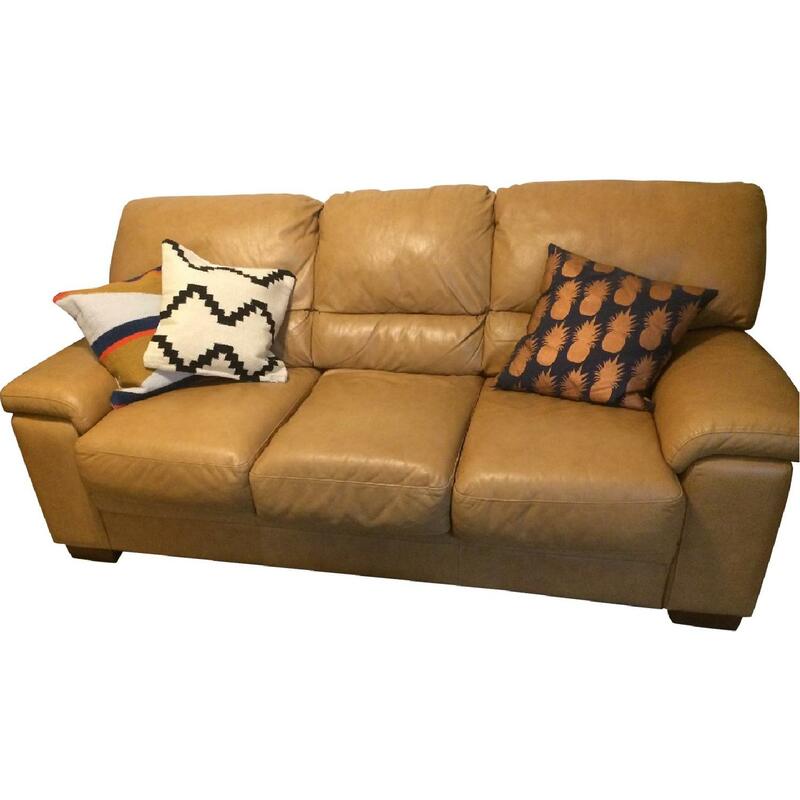 Camel colored with slight wear and tear in the leather from use. 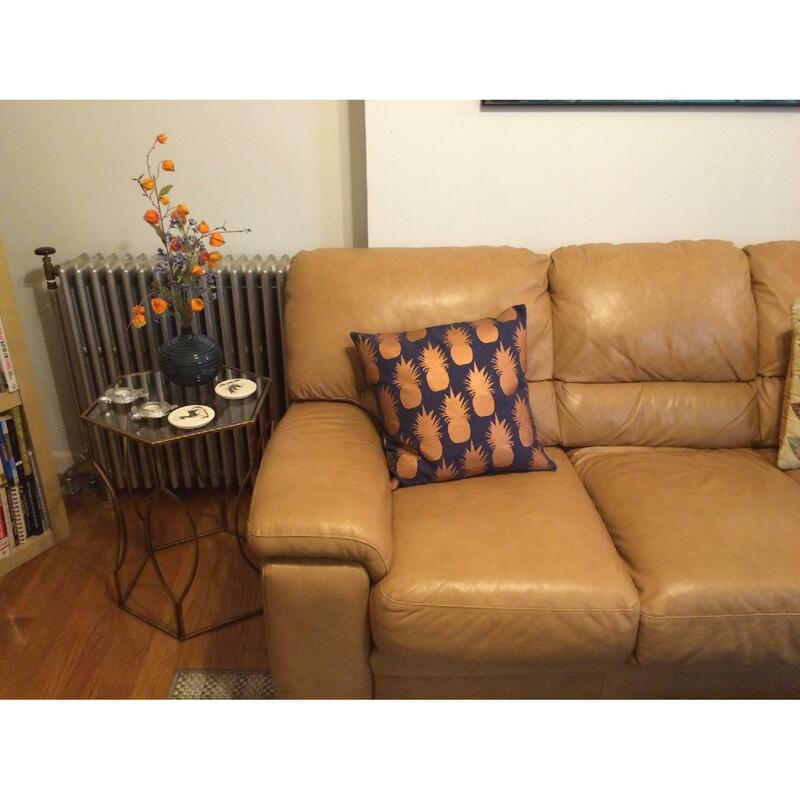 Very comfortable and soft! 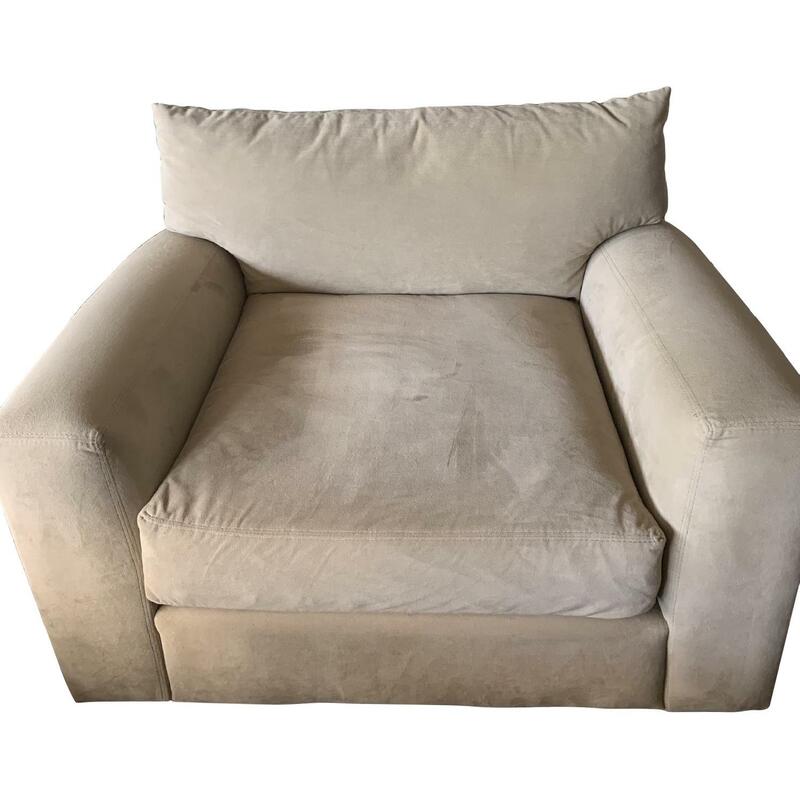 There are two minor issues in the "sleeper" part of the sofa: 1) The metal pullout frame is slightly bent at the foot end, and 2) the zipper that holds in the stuffing on the back cushion is partly broken but still holds its shape. 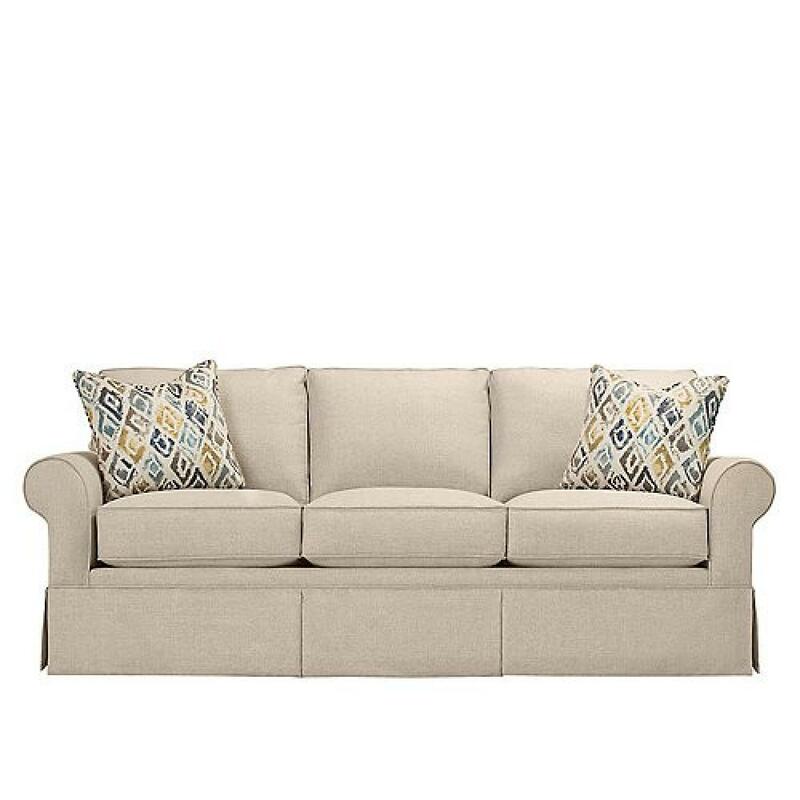 I'm moving cross-country and would love to bring this couch with me but it won't fit in the truck so I have to find it a new home. 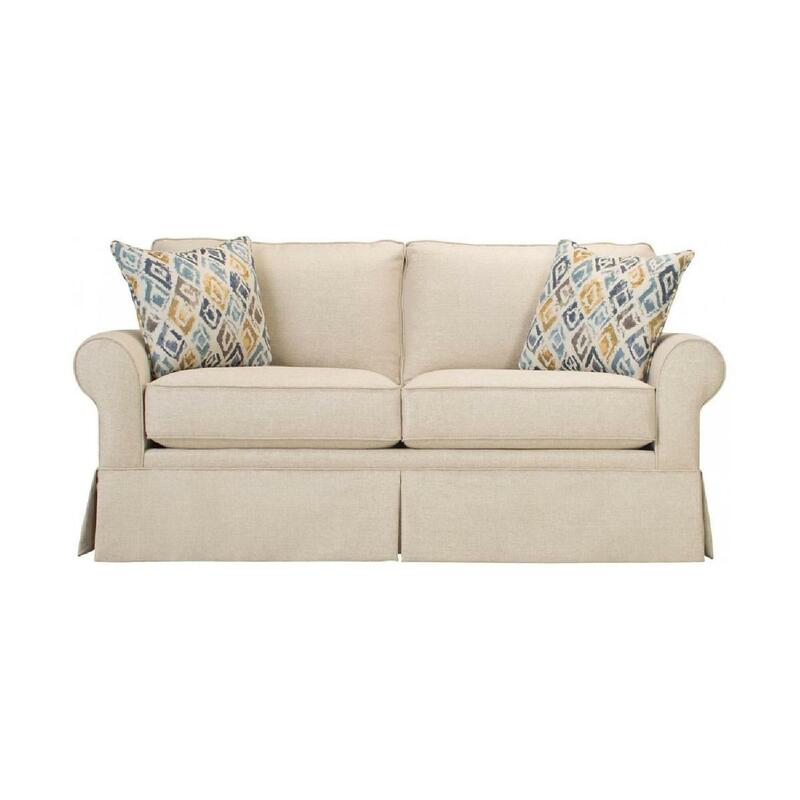 Please keep in mind that because this is a sleeper sofa, it's heavier than a typical couch – I'd estimate about 200 lbs.